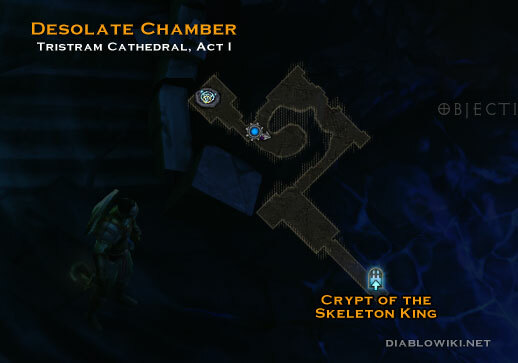 The Desolate Chamber is directly underneath the Crypt of the Skeleton King. No combat takes place here, it's just the site of bottom of the crater formed by the falling star. It is the same configuration each time with no random elements. This page was last edited on 8 January 2013, at 19:25.